Curtains were drawn on the 61st edition of the Grammy awards in Los Angeles' Staples Center with names such as Kacey Musgraves, Childish Gambino and Lady Gaga scoring big wins at music's biggest night! 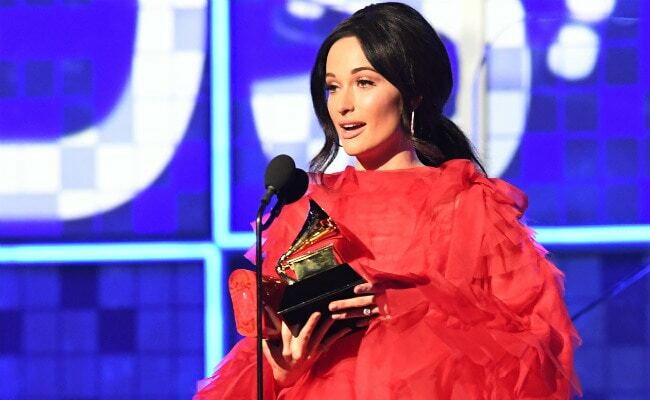 Country music sensation Kacey Musgraves took home four Grammys, including Album Of The Year for Golden Hour while Childish Gambino won both Best Song Of The Year and Best Album Of The Year for the politically charged This Is America. Both Kacey Musgraves and Childish Gambino (also known as Donald Glover) won four Grammys each - highest for this edition of the Grammys. Meanwhile, Lady Gaga and Bradley Cooper won in the Best Pop Duo/Group Performance category for the widely favourite Shallow from recent release A Star Is Born. Lady Gaga also won Best Pop Solo Performance for Joanne ( Where Do You Think You're Goin'?). The crowd also cheered for Dua Lipa, who won a Grammy for Best New Artist.